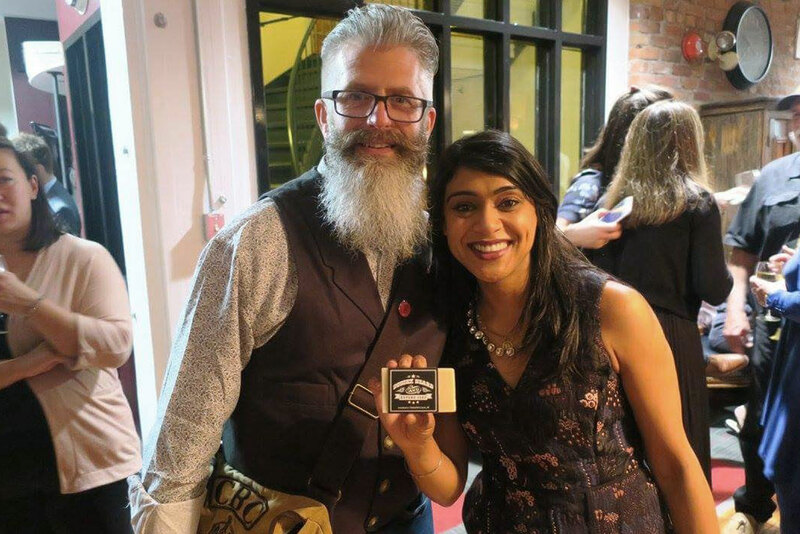 Sussex Beard Oil Merchants is a small business located in Sussex, New Brunswick founded by entrepreneur and beard enthusiast Matt White. The company produces a variety of all-natural men’s grooming products including soaps, conditioners, brushes, shaving balms, mustache wax, and its signature beard oil. The company saw revenue of roughly $30,000 in its first 16 months with a profit of approximately 8.6 per cent. This early success was bolstered in the fall of 2015 with a successful television appearance on CBC’s Dragons’ Den. Opportunities NB (ONB) is thrilled to have played a key role in this small business success story from its beginning. When ONB first met Matt White in June 2014, he was passionate about both his business and the entrepreneurial spirit he saw in New Brunswick. The product was strong and White was keen to begin exporting beyond the region; what he lacked was confidence in his own business acumen. His initial meetings with ONB were focused as much, if not more, around building confidence and trust as they were on business coaching and discussions of financing. • Connect—again via an ONB-qualified referral—with LearnSphere, a New Brunswick-based training and learning solutions provider. LearnSphere offered White additional export development support and has worked with him to launch a newly-revamped version of SussexBeard.ca in order to prepare for increased export activity. With strong encouragement from ONB, White and Sussex Beard Oil entered the New Brunswick Innovation Foundation’s (NBIF) Breakthru competition. That program offered access to a Business Boot Camp where he would learn more about creating a formal business plan and bringing his products to export markets. This proved to be a crucial step for the company on two levels. Not only was White able to complete a finished business plan but that missing ingredient—confidence—finally materialized. Due to his participation in Breakthru, White was given the opportunity to audition in front of Dragons’ Den recruiters for a chance to pitch the series’ five venture capitalists on air. ONB continued to work with White, helping him prepare for both his audition and final televised pitch. After a successful audition in Saint John, White moved on to Toronto where his episode was taped in the spring of 2015. The new business skills he had developed and the boost in confidence he had received from his ONB relationship was beginning to pay off. Matt managed to secure new investment in Sussex Beard Oil Merchants as a result of his Dragons’ Den pitch. Two of the show’s ‘‘Dragons”, Michael Wekerle and Michele Romanow, agreed to an investment of $65,000 for 30 per cent of the company, with Wekerle asking for a five per cent royalty for the first five years. Romanow’s background in e-commerce (she co-founded Buytopia.ca and SnapSaves, the latter acquired by Groupon in 2014) makes her a particularly exciting partner given White’s focus on exporting product via online sales. As a spinoff of his Dragons’ Den appearance White was approached by Canada Post—one of the show’s major sponsors—to be featured in a commercial showcasing his use of Canada’s primary postal operator for shipping his products. Working with small businesses still requires a big commitment on the part of ONB. The time invested in working with Matt White has thus far paid off and should continue to benefit the company, the Sussex region, and New Brunswick as a whole. The business is now looking forward to working with its new Dragons’ Den investors on finalizing its export development plans, improving manufacturing capacity, and developing and launching new product lines. Looking to become the next small business success story from New Brunswick? Let our professionals open doors for you to create the right environment for increased competitiveness and growth opportunities.